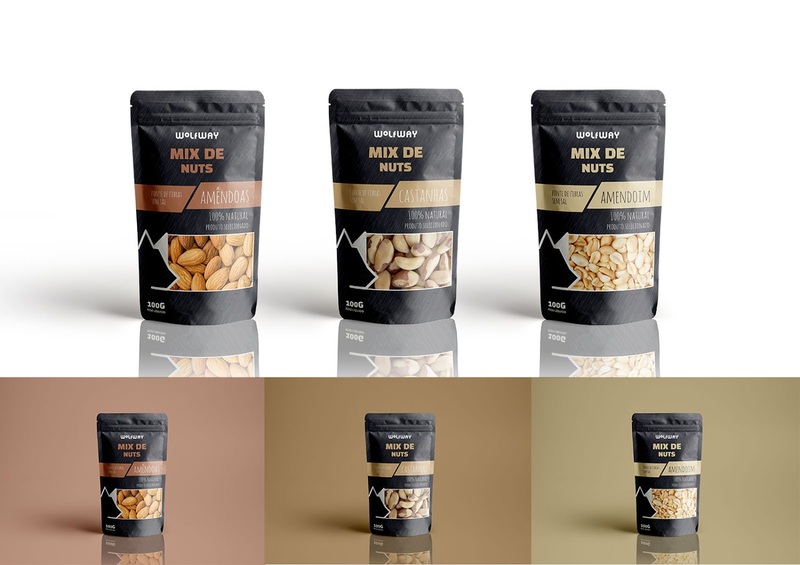 This project was developed this year (2018), in the discipline “Packaging Design” from the Design course, the macro theme proposed was "Snacks to take..." and every student should deepen the theme choosing a niche market and develop a family of packages. I chose to create for the public practitioner of trekking, so that they could take a snack to eat during sports practice. 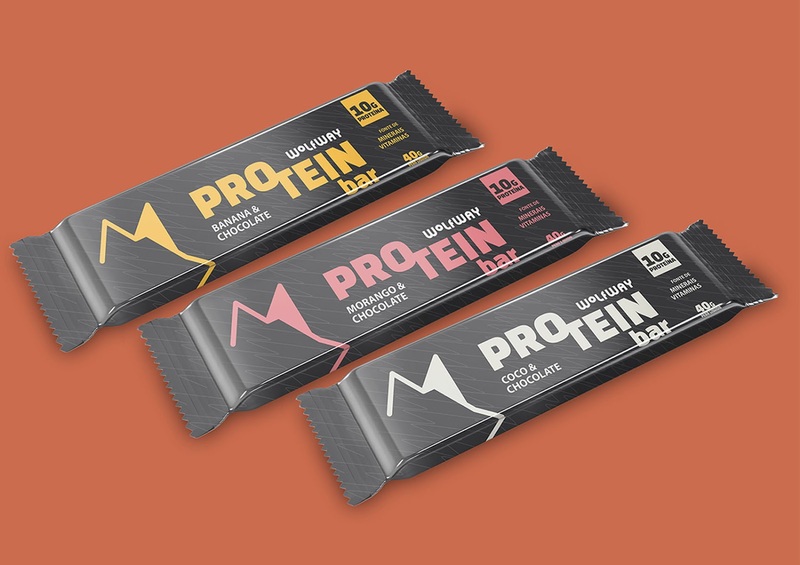 The family of packaging which created consists of isotonic, protein bar and mix of nuts, which are foods that provide energy to the practice of trekking. The concept of my package is "Wolves", as these animals tend to walk in groups, respect the nature that is also your habitat, as well as trekking practitioners, who also practice the sport in groups and enjoy the spaces of contact with nature. 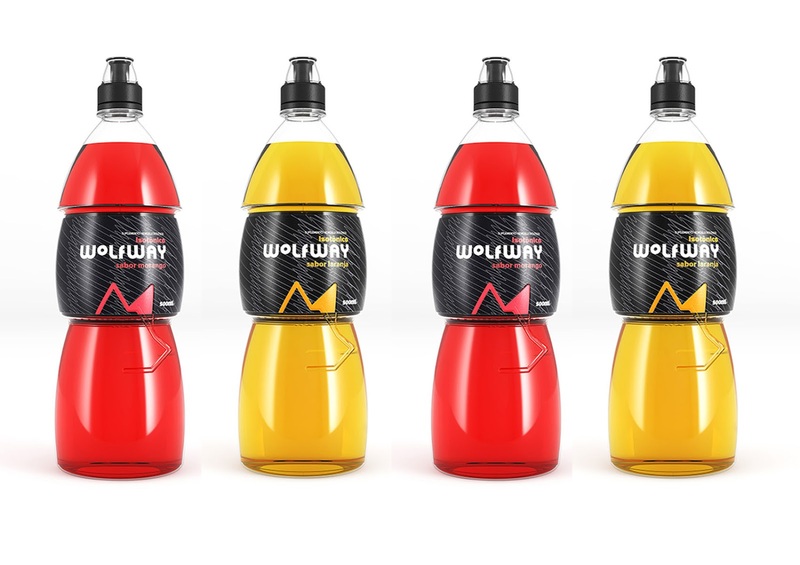 The visual identity was created from the concept of "Wolves", hence the name chosen for the family of packaging was "Wolfway" meaning "way of the wolves". 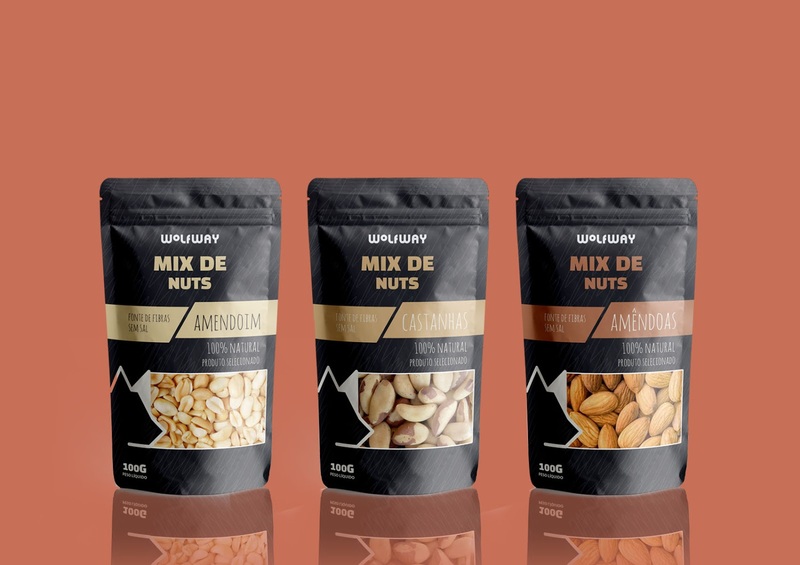 The brand also has a tagline to reinforce the meaning "their instincts, their ways". The goal was to present a differential in the application of the brand on the packaging, for example, in the bottle of isotonic featured provides a sensory experience, where the label only if complete with relief from brand inserted in the bottle. 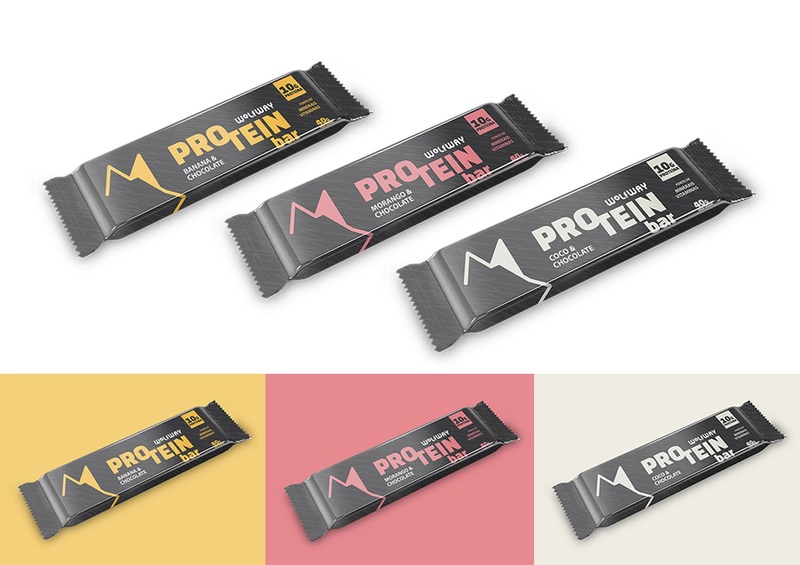 The other two packages, there is also a connection with the rest of the layout, on the protein bar brand follows up the side of the packaging, and nuts mix the brand is inserted in the cut where is possible view the image of food, with which all packages present the same differential.